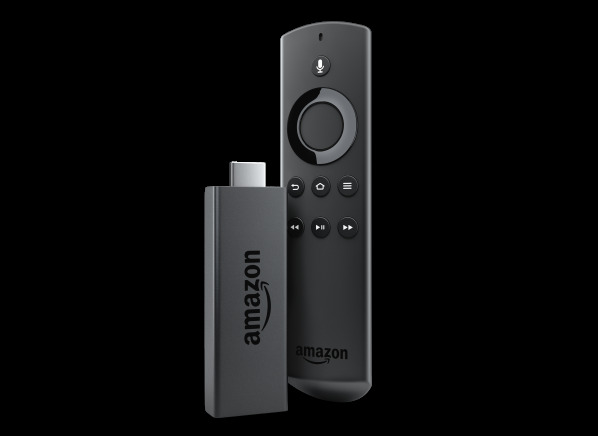 The Amazon Fire TV Stick with Alexa Voice Remote is part of the Streaming Media test program at Consumer Reports. In our lab tests, Streaming Media models like the Fire TV Stick with Alexa Voice Remote are rated on multiple criteria, such as those listed below. Picture quality: Picture quality includes image clarity, color accuracy, and contrast of streaming video at the native output resolution. It's based mainly on the judgments of a panel who compare each device's output to a reference. However, the quality of the video that you'll get is largely dependent on the speed of your wired or wireless network. We tested all the players using a wired Ethernet connection, if available. Everyday use: This score reflects how easy it is to use on a normal basis. It looks at how the remote and user interface interact for common tasks like powering on the device, navigating the menus for access to content, and how easy it is to perform common tasks like visiting websites and playing games. Supports dual-band WiFi Supports dual-band WiFi Will supports 5 GHz WiFi networks. The 5 GHz frequency is used less than the 2.4 GHz, so it should have less interference. USB port USB port Allows a USB memory device ("thumb drive"), external hard drive, or card reader to be connected to the device. This allows you to display the still images and video clips, and play audio files stored on the memory device. Composite video output Composite video output Composite-video output carries only the video signal and not the audio. It is often used to connect old equipment like a VCR or an older TV. It can only carry standard-definition (480i) video; it cannot carry progressive-scan or high-definition video. Digital-audio output Digital-audio output Either a coaxial or optical digital-audio output that lets you route the Dolby Digital or DTS multichannel soundtrack to a receiver for decoding. The receiver thus splits apart the soundtrack for distribution to various speakers in the room. This output must match the input of the receiver. Analog audio output Analog audio output Headphone out, stereo RCA output, or stereo mini-jack output. 4K-capable 4K-capable This player can play 4K (Ultra HD) content, streamed from the Internet. App or channel store App or channel store Provider for adding addition apps or content. Streaming services Streaming services What premium services are available to watch TV shows and movies. Other services Other services Other services and applications other than paid video. Digital assistant Digital assistant The name of the built-in digital assistant. Built-in voice search Built-in voice search Has the ability to do voice searches out of the box. Usually has a microphone built in to the remote control. Screen mirroring Screen mirroring Can display whatever is on your mobile device's screen on the TV. Airplay is for Apple devices while in general Miracast is for Android and Amazon devices. Casting for Netflix and/or YouTube Casting for Netflix and/or YouTube Has the ability to load the specific app and start playing the selected video chosen on a mobile device (smartphone or tablet). Also, allows you to control that video stream from the mobile device or from the player's normal remote control. DLNA compatible DLNA compatible The Digital Living Network Alliance certification provides a convenient way to share digital content between connected devices. This means you will be able to access videos, photos, and music from other compatible devices connected to the same network. Web browsing Web browsing Has a web browser for accessing web sites. Advanced remote features Advanced remote features Such as QWERTY keyboard, touchpad, and/or motion gesture. Supported OS for remote app Supported OS for remote app What operating system the remote control app for the player is available on, if there is one. It is split up into Smartphone and tablet. iOS is for Apple devices, Android for Android, Windows for Windows, and Fire OS for Amazon mobile devices. Supported external hard drive formats Supported external hard drive formats Supports FAT32, NTFS, and/or MAC OS. Supported video formats (claimed) Supported video formats What video formats the media player supports. Supported image formats (claimed) Supported image formats What image formats the media player supports. Supported music formats (claimed) Supported music formats What music formats the media player supports. Supported PC OS for file sharing Supported PC OS for file sharing Will see files shared on a PC with Windows and/or MAC OS. Dimensions HxWxD (in.) Dimensions HxWxD The dimensions in height, width and depth of the media player. Weight (lb.) Weight How much the media player weighs (in pounds).